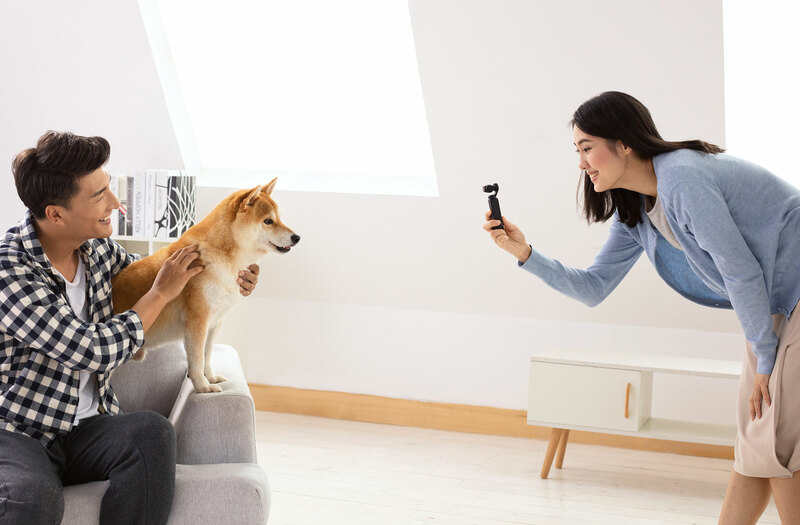 Coming in at just 4 inches tall, the Osmo Pocket offers a 1/2.3-inch sensor that can shoot 4K video at up to 60fps and 12-megapixel photos. The camera also has built-in dual microphones with advanced noise-cancellation algorithms to get you high-quality audio. Battery life for the Osmo Pocket is up to 2 hours when shooting 4K. DJI’s three-axis gimbal will compensate for movements to get smooth motions for better video. 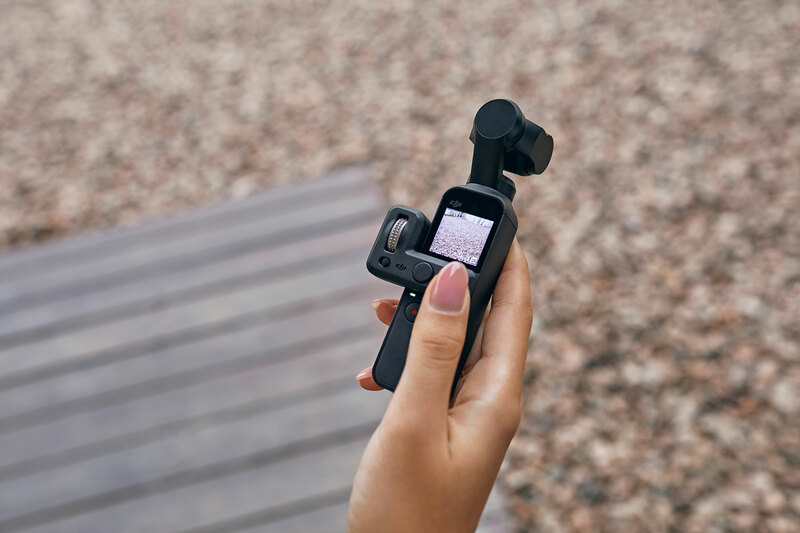 ActiveTrack-DJI’s image recognition algorithms allow Osmo Pocket to recognize and follow subjects of your choice, perfect for capturing family moments easily with the tap of your finger. 3×3 & 180° Panorama– For capturing breathtaking wide-angle photos, Osmo Pocket offers two Panorama modes. 3X3 takes an expansive 9 images in total while 180°mode captures 4 images. Osmo Pocket software stitches them together automatically so you can focus on the framing of the scene. Pro Mode –If you want even more control over your content, “Pro mode” gives you access to camera setting adjustments and exposure settings to let you create exactly how you want, from rich video in bright conditions to a perfect handheld long exposure photo at night. Whatever you want to shoot, Osmo Pocket and DJI Mimo let you explore and expand your creativity. Osmo Pocket automatically detects and illuminates low-lit scenes into bright photos. This helps eliminates the need for a tripod, and you can rely on the gimbal to keep the camera still for a shutter speed of up to three seconds. Illuminate the dark, or capture the movement of light in a “light painting.” You’re only limited by your imagination. You’ll be able to easily connect the Osmo Pocket to your smartphones using the included Lightning to USB-C or USB-C to USB-C cables. 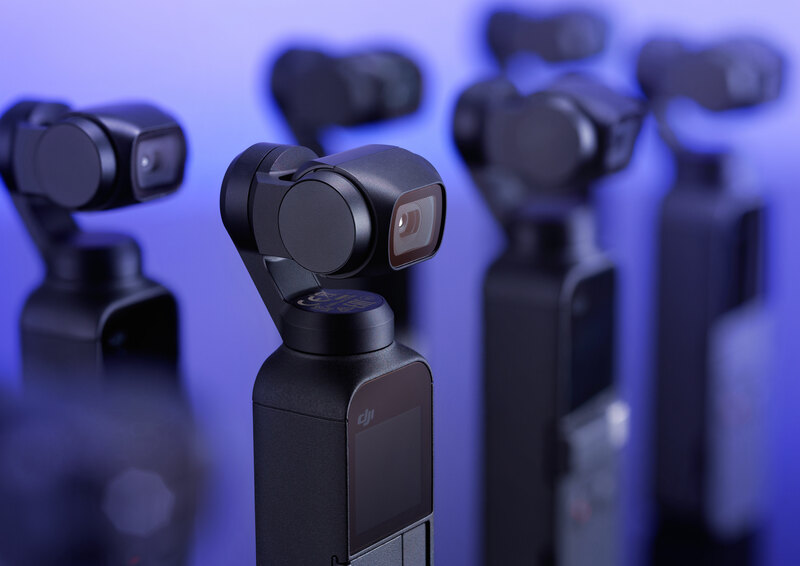 DJI will also be offering a number of accessories for the Osmo Pocket at launch, including an Accessory Mount that allows you to attach the camera to action camera mounts, Wireless Module that supports Wi-Fi or Bluetooth transmission between the Osmo Pocket and your smartphones, Control Wheel that allows you to precisely control the gimbal movement. And later on, DJI will be offering an ND Filters Set that allows you to control the amount of light entering the sensor, Waterproof Case that allows you to take the Osmo Pocket underwater up to 60 meters, an Extension Rod that provides an extra 31 inches of reach, Charging Case that both protects and charges the camera and finally a 3.5mm adapter to allow you to use an external microphone. The DJI Osmo Pocket is available for pre-order now for $469 CAD ($349 USD) and will ship on December 15th.